Clarke Philadelphia students learned about animals, listened for animal sounds and asked questions as part of “Eyes, Ears, Nose and Toes" with the Zoo on Wheels. Designed for early learners ages 3 to 8, the Zoo on Wheels emphasizes the importance of cultivating empathy and connecting with animals at a young age. This interactive program engaged Clarke students with live animals and touchable biofacts. This event also occurred during The Week of the Young Child™ which is an annual celebration hosted by the National Association for the Education of Young Children (NAEYC) to spotlight early learning, young children, their teachers, families and communities. Clarke partners each year with the Philadelphia Zoo on Clarke’s Listening Walk at the Zoo and 5K Run. 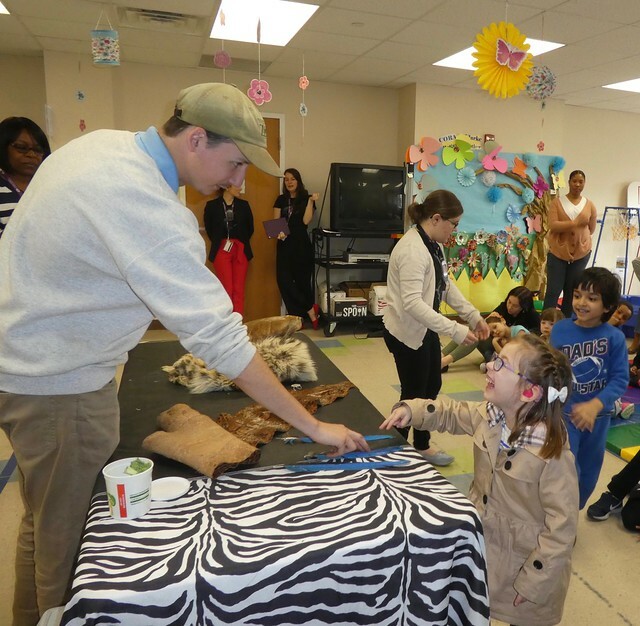 Each year, the two organizations collaborate in advance of the fundraising event with the presentation of the Zoo on Wheels program at Clarke Philadelphia. Clarke Philadelphia students met a hedgehog, rabbit, python and more thanks to a professional from the zoo. The presentation served as a preview of sorts for the children, who will also take part in the upcoming listening scavenger hunt through the zoo.